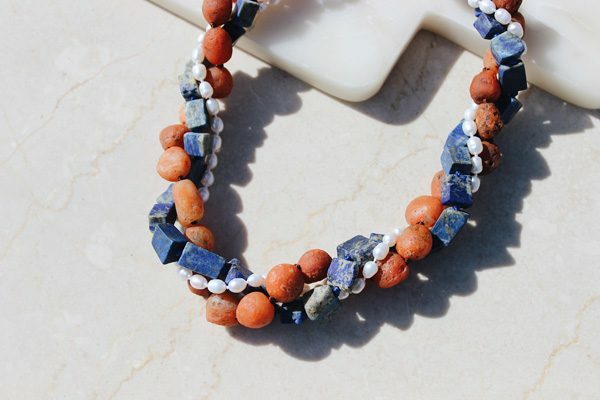 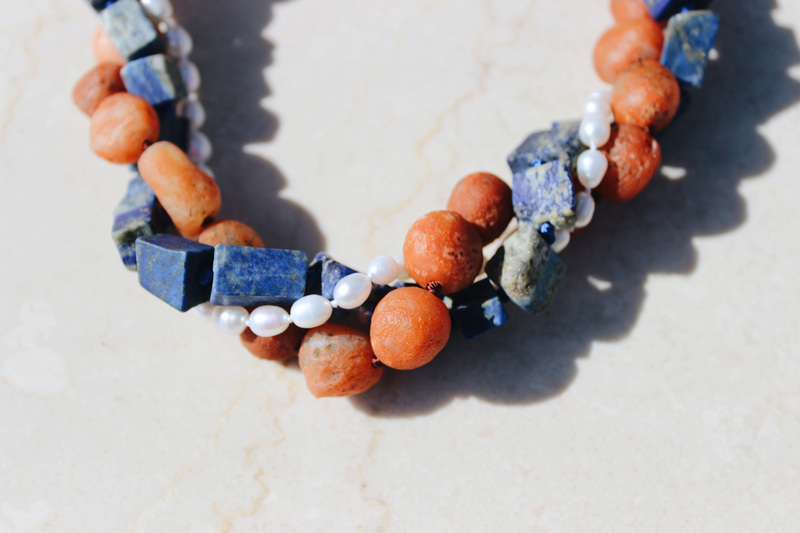 Raw forms of both lapis and carnelian agate mixed with fresh water pearls. 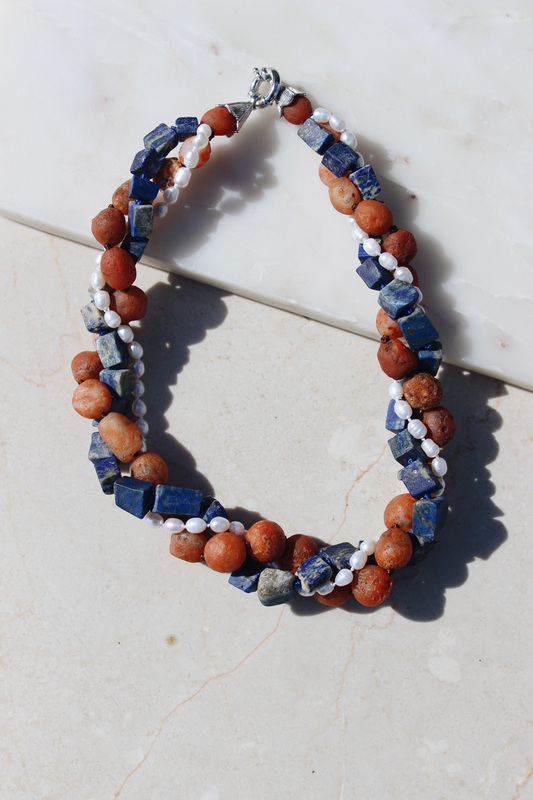 A magical mix of shapes and textures, will make you feel like a goddess walking out of the ocean into the sand. 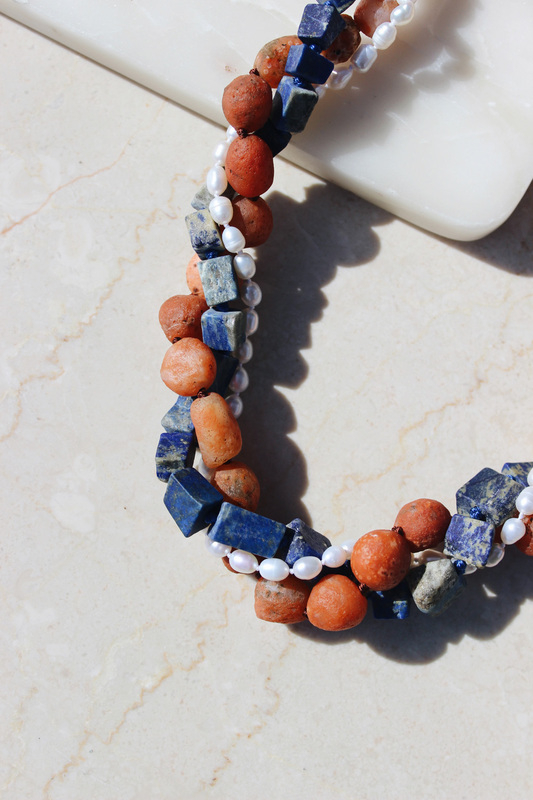 Even Picasso could not capture the beauty of this colour combination.